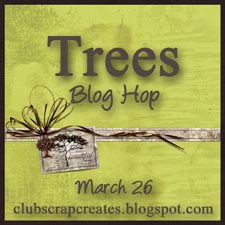 Welcome to my stop on the Club Scrap Creates Trees blog hop! If you got here from Tiare's blog, then you are on the right track. If you want to start at the beginning or see a list of all the bloggers contributing this month, click HERE. 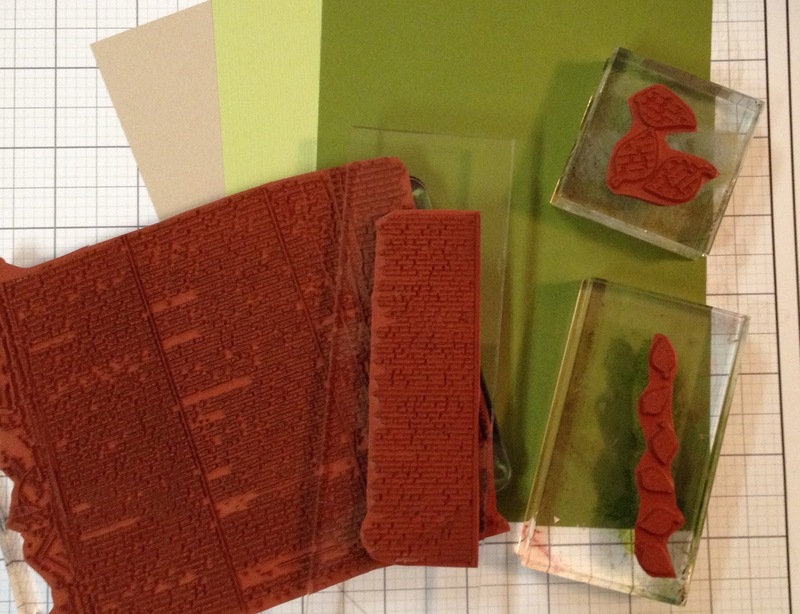 This month all the bloggers are featuring projects using the March 2014 kit, Trees. Here's a pic of some of the kit elements. You can find more kit items HERE. Ever have a bad case of crafter's block? Well, that's what I had this month. I often have at least a small idea of what I want to create with the new kit when I first open it. This time, though, nothing was coming to me. 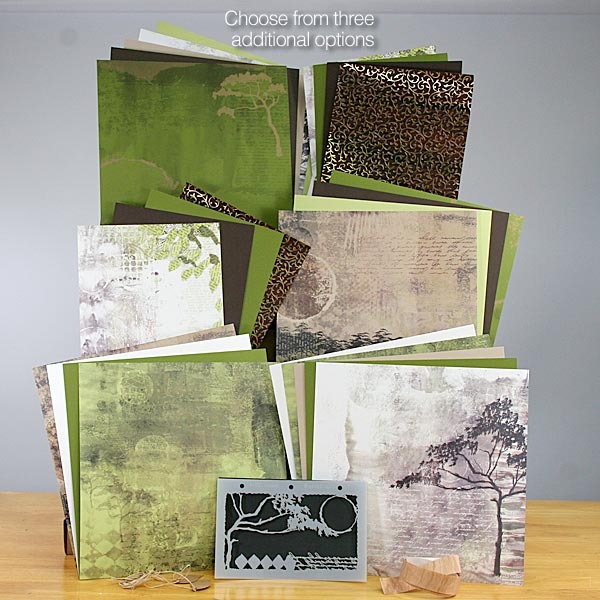 I'd looked at the kit, seen projects other CS folks have made with the products, even created a mood board in Pinterest featuring trees and the many beautiful colors in the kit. Still, nothing came to mind when the deadline was approaching for this blog post. Absolutely nothing. So, with the deadline right around the corner, I pulled out the kit elements and spread them out on the floor. Hmmm . . . nothing. I opened my stamp binder and found two really cute leaf stamps on the Trees Art Nouveau unmounted stamp sheet. I felt a glimmer of hope when I saw those stamps! They have text on them, which reminded me of some stamps in the Up, Up & Away! collection from February 2013, so I pulled those out and some of the plain Trees papers and CS inks and started stamping. 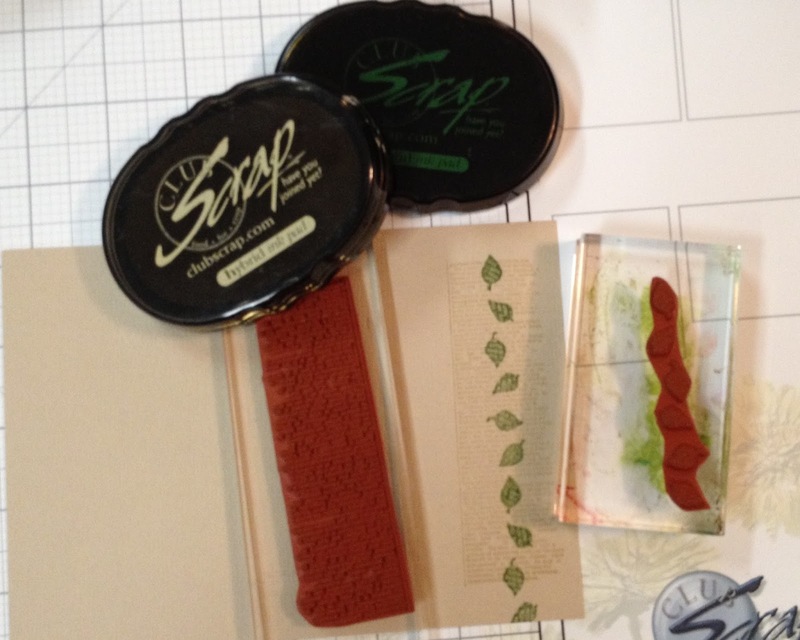 Using the leaf trio stamp, I created a background panel using Leaf, Moss, and Earth Club Scrap hybrid inks. I then used the dictionary page stamp from Up, Up & Away! to create another background on the dark green paper. Still not knowing just what I was going to do with these stamped papers, I used Sandstone ink and another UU&A stamp and Moss ink with the Trees row of leaves stamp. Here are the three stamped papers I created. It was getting late, so I went downstairs to read a few pages in my human resources management text book. This serves several purposes: It checks off another thing on my to-do list for the day, and it puts me to sleep (please don't tell my professor!). But most of all, it enables me to take a break from my creative venture, since at this point, I still wasn't sure what my final project was going to be. I had a start, but I what path I was taking was still a mystery. A new day brings a refreshed mind (isn't that great?! ), and I could finally see what I was going to do for this project. 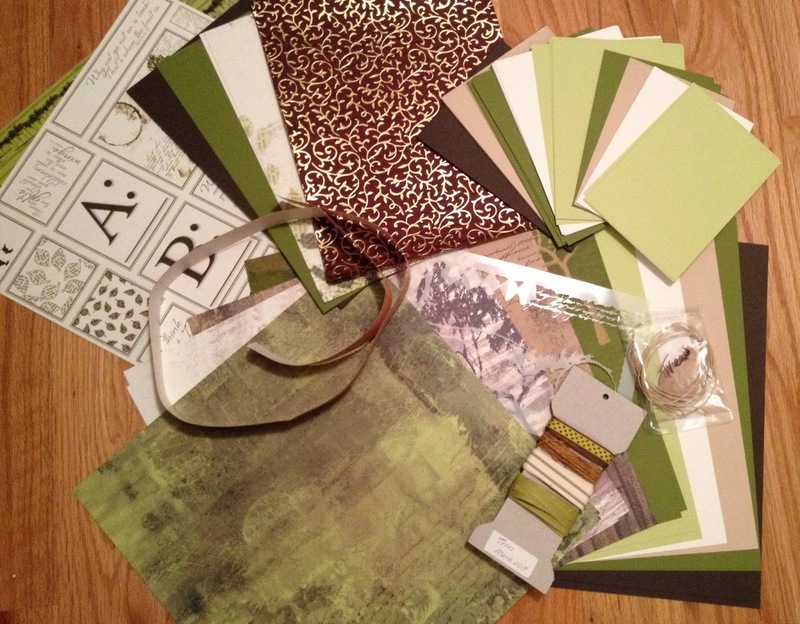 The leaves and the light green paper both reminded me of pears--that's right--pears. And I just so happen to have a pear die! (From Spellbinders' Orchard Harvest Tags and Accents die set.) With a new-found direction, I used the dictionary page dark green paper to die cut two pears. 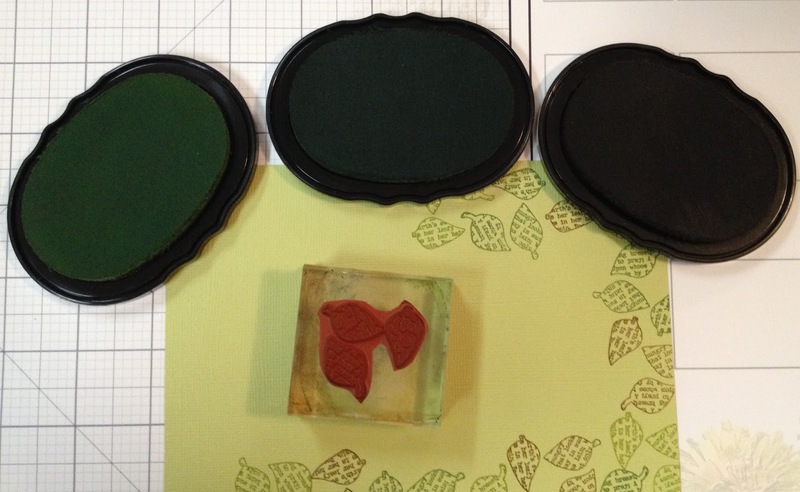 (I didn't use the leaf die, though it's pictured.) I also stamped the leaf trio a few time and cut out a couple leaves to add to the pear die cuts. And here (finally) is my completed card. 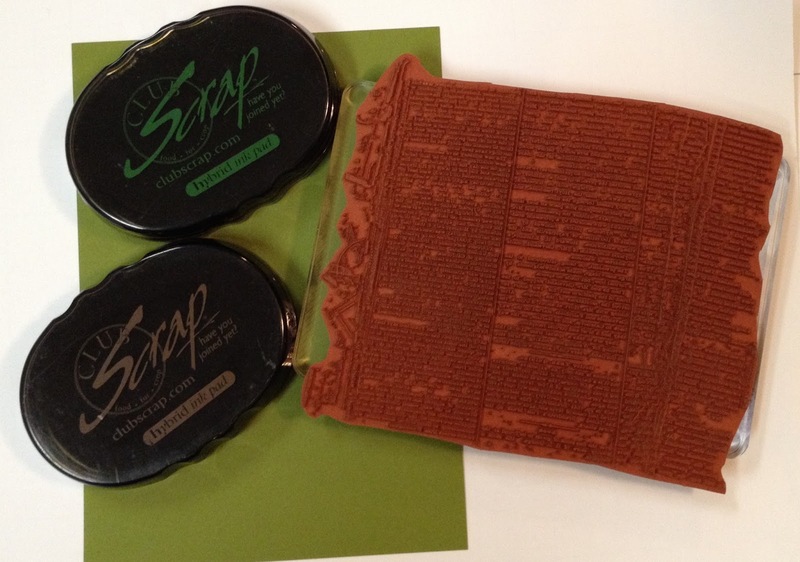 The sentiment strip was made using the UU&A stamp and Sandstone ink. 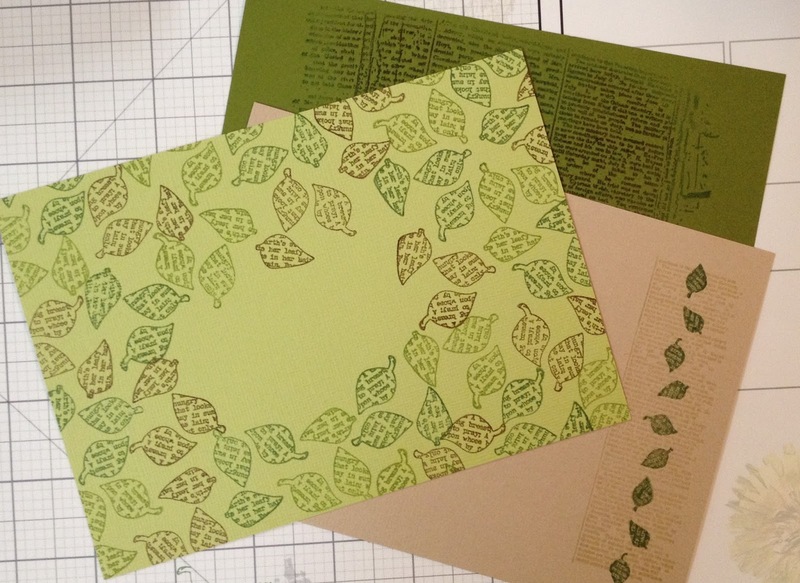 I made the row of leaves lighter by stamping first onto scratch paper. The "thank you" stamp used on the top and bottom is from the Milestones kit, and the "thank you" in brackets came from Pure & Simple. (These are both extinct wood-mounted stamps.) 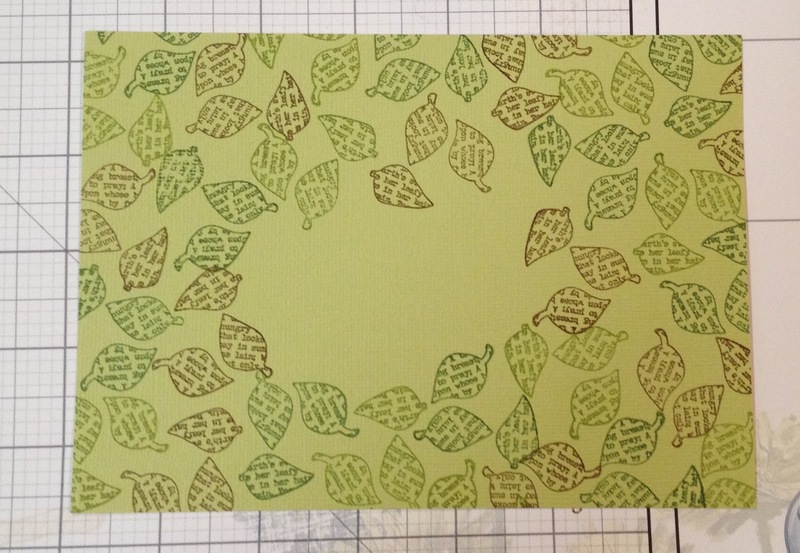 The sentiment strip and the pear/leaf on the left are raised with foam adhesive. The fiber is from the Trees embellishment pack. There you have it. Sometimes when creativity is blocked it helps to just get out some paper, stamps, and ink and stamp away. Then, get a good night's sleep, and in the morning you'll find your mojo has returned. Mine just happened to be in the form of pears! Thanks for making it to the end of my blog post. 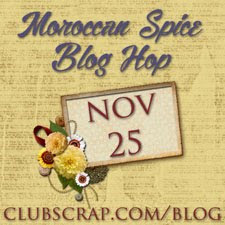 Your next stop on the hop is Marya's blog: A Notebook Novel. I can't wait to see what she has in store for us! Lisa, your card is darling and the die cut pears are perfect. Sometimes the best way to get your creativity flowing is to just dive in. Love how your project turned out Lisa! LOVE IT! Lisa I love what you do every month and Trees is no exception. Great cards. LOVE! Abs that is my go to thank you stamp! In the end there is always a part of the kit that will inspire you to make art and you hit it with this card. Such a fun idea and perfect with the pears. Wonderful! I love the pear on the card. The stamping makes it extra special. Very nicely done Lisa! I know, some times it's hard to get going without a specific project in mind, but I love how you just dove in and started creating. The end result came out wonderfully and I love how you were able incorporate great elements from other kits in your card. Love when everything comes together! Thanks for sharing. 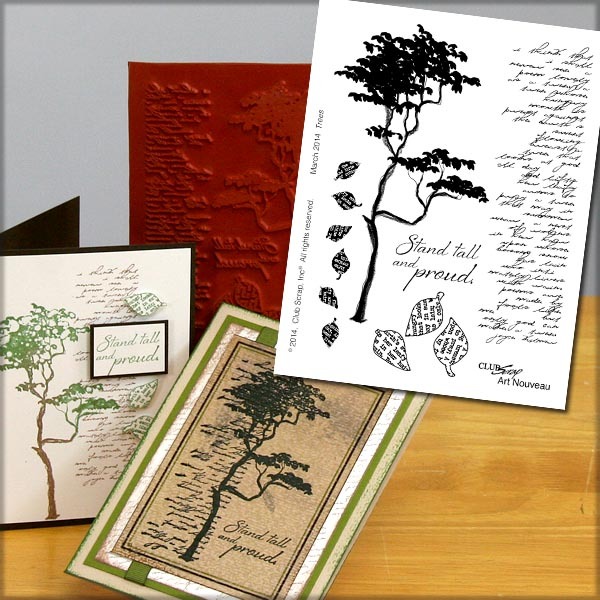 It's great you dove in and made this darling card, the pears are so cute with the Trees stamped leaves and paper, great combo you put together! Very pretty Lisa ~ the pears are perfect with the kit! Lisa, I love using words in my artwork and love how yours worked out, right up my alley. Beautiful card. I love that leaf stamp! Great thoughts on how to combat creative blocks. The final product is beautiful. Thanks for sharing your project and your process. Wow! Mixing Thank You stamps...and they work together wonderfully! I'm going to have to look at my stamps through new eyes. Thanks for the inspiration! Great way to use more of those stamps we have! I have only been with CS for 2 years but there are some great stamps that could definitely be re-used in my stash! Have a great day. I love that you mixed up the stamps. What a great card!